With our first baby soon to arrive, we’ve decided to focus on exploring more of our beautiful backyard. Fortunately for us, British Columbia is blessed with endless natural beauty and adventures for the outdoor enthusiast. However, with so many options to choose from, it’s not always easy deciding where to escape for a weekend getaway (Okay, so it’s not such a bad problem to have!). 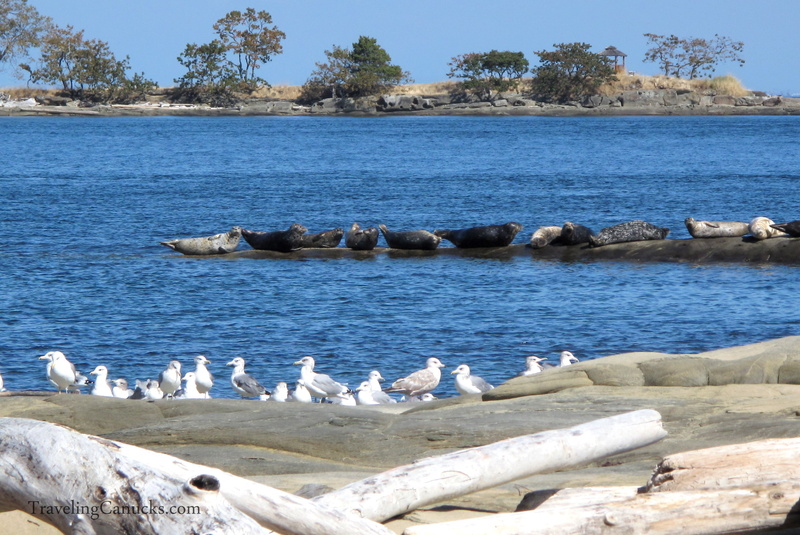 Our most recent adventure took us to Galiano Island, a secluded Southern Gulf Island that is roughly the size of Manhattan Island in New York, but just a tad quieter with only 1,300 full-time residents. Surprisingly, we had never been to Galiano before. 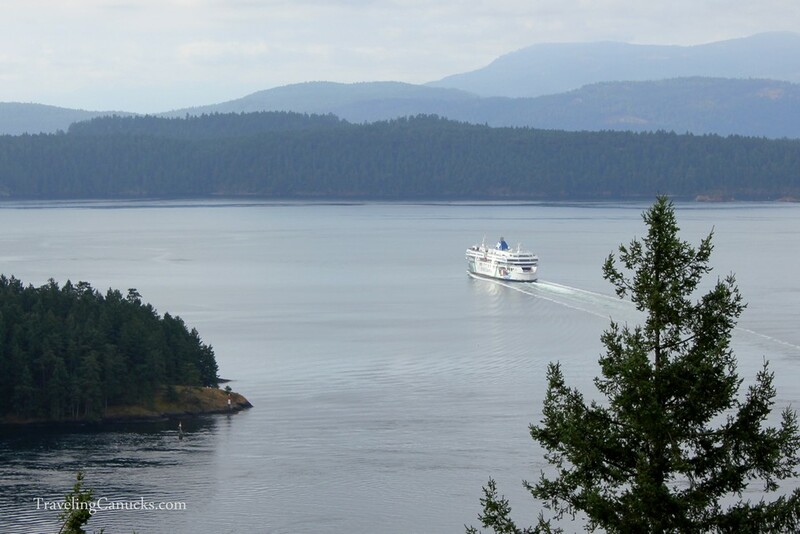 We’ve passed it several times on the ferry to Victoria, British Columbia’s picturesque capital city, and often said to ourselves, “we should check out Galiano someday”. Well, the day had finally come and it was time to visit the “Gem of the Gulf Islands”. Vancouver residents have differing views on what makes living on the west coast so exciting. 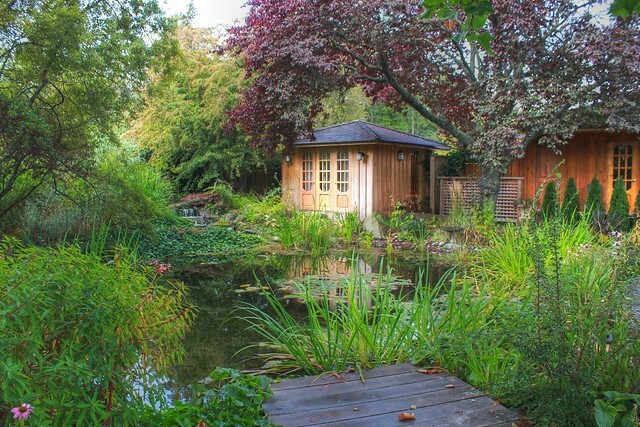 For us, it’s the ability to be totally secluded and surrounded by nature within a hour of leaving our front door. It’s hiking through a temperate forest, watching the morning fog hover over the tall evergreens. It’s walking on a rocky beach, breathing in the crisp ocean breeze. It’s sitting on a large piece of washed up driftwood, watching seals and bald eagles go about their day. 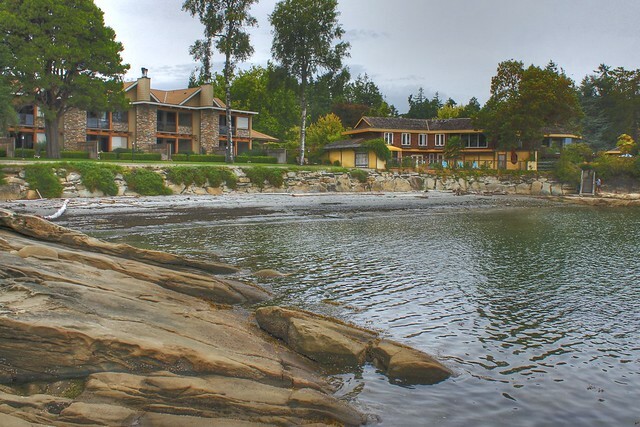 As we pulled into Sturdies Bay, we couldn’t help but think that Galiano Island might be the perfect place to purchase a vacation property. It’s only a short 55 minute ferry from Vancouver (Tsawassen Ferry Terminal), yet it felt like we were hundreds of miles away away from civilization. As we disembarked the ferry and walked along the pier, we instantly felt the noise and stress of the big city disappear. Though limited, the island has all the amenities one would expect – grocery store, gas station, restaurants, cafe and sports pub. 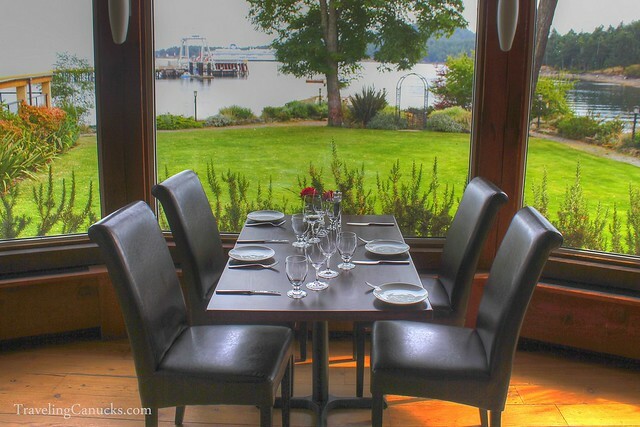 We spent our weekend at Galiano Inn & Spa, an oceanfront boutique resort perfectly situated on Sturdies Bay. The unobstructed views from the patio of our oceanfront villa was exactly what the doctor ordered. 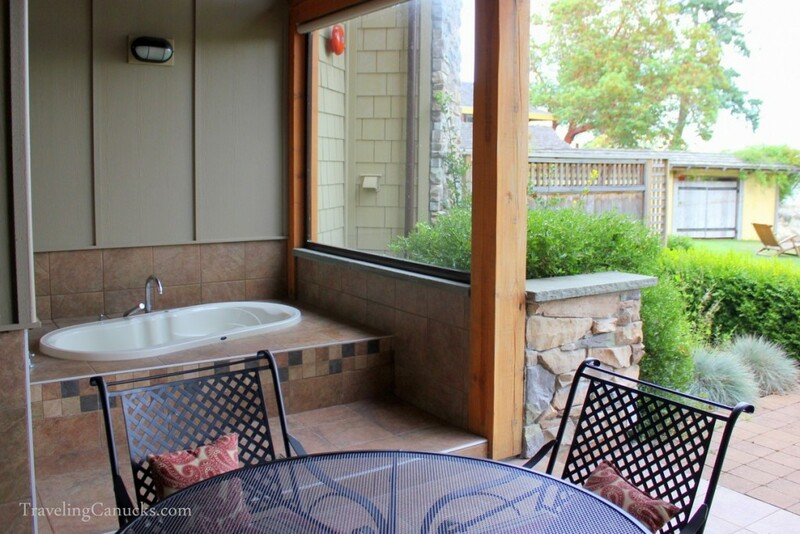 Our suite had a private outdoor jacuzzi, outdoor wood burning fireplace, gas grill, and a heat lamp to keep the patio warm in the evening. Needless to say, most of our time was spent on the private patio. Our evenings were spent soaking in the deep jacuzzi tub, listening to the crackling fire as we watched the occasional ferry pass trough the channel. Not a bad way to recharge the batteries! One morning, while sipping on a cup of freshly brewed coffee, we watched an enthusiastic seal jump out of the water and slap his tail on the calm surface. A bald eagle flew overhead and perched on a nearby tree, curious about what the seal was up to. Then, almost on queue, a pair of playful otters swam within a few feet of the beach in front of our villa, chasing one another without a care in the world. It was quite an active morning on Galiano! As we took in our calming surroundings, we couldn’t help but focus on the horizon with anticipation. The Southern Gulf Islands are home to several pods of orca whales, including a resident “J-Pod”. Only a few weeks has passed since our incredible whale watching experience that had us witness over 25 killer whales, so we were hopeful for a repeat. 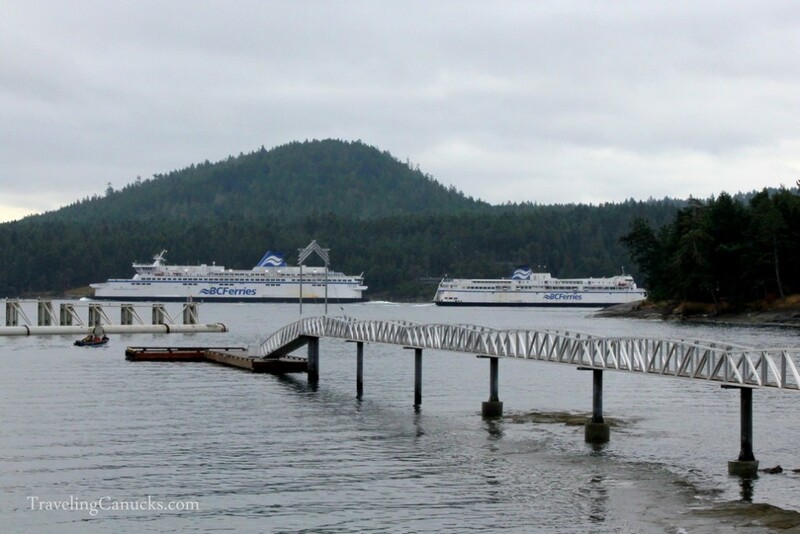 Because Galiano Inn and Spa is within walking distance to Sturdies Bay Ferry Terminal, we decided to leave our car at the Tsawassen Ferry Terminal on the mainland. It was a smart decision because the boutique resort has a small fleet of Mercedes Smart Cars that guests can use to explore the island (here’s a picture of the car). Ferries from Vancouver are less frequent with only 2 per day, whereas Victoria has approximately 5 ferries per day. 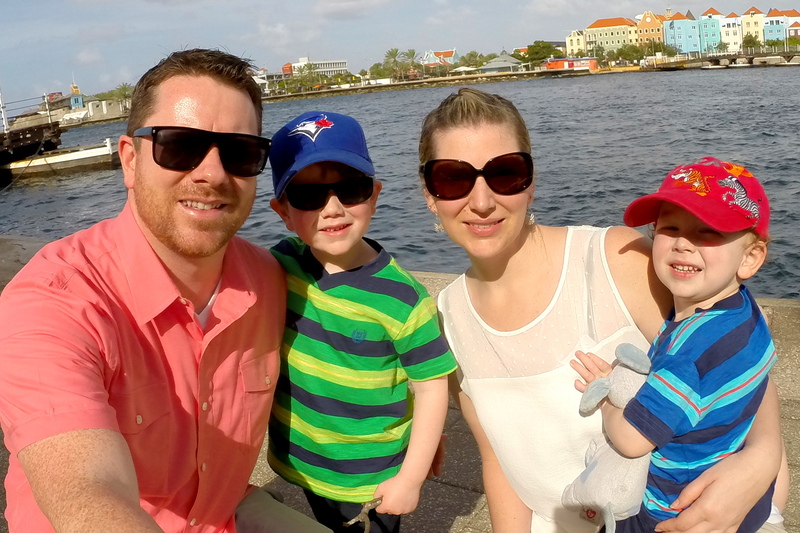 At first, we were skeptical about the resort being so close to the ferry terminal, but we rarely heard the ferries and actually found it quite entertaining to watch the giant ships come in and out of the tiny terminal. 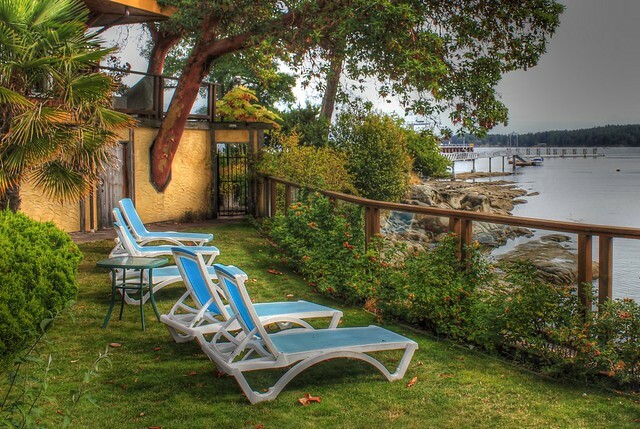 Like Caye Caulker in Belize, everything moves a little slower on Galiano Island – and we dig it! 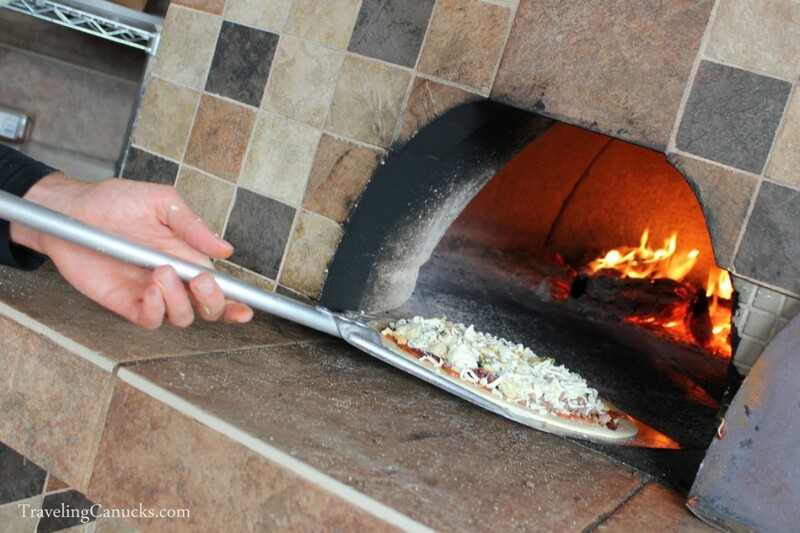 Right this way – yes please! 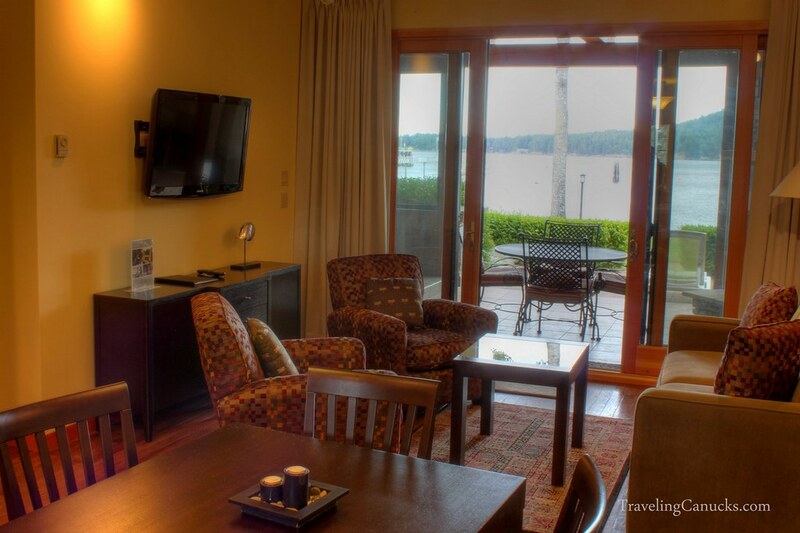 If you visit Galiano Oceanfront Inn and Spa, don’t forget to introduce yourself to Mayor Bogart. 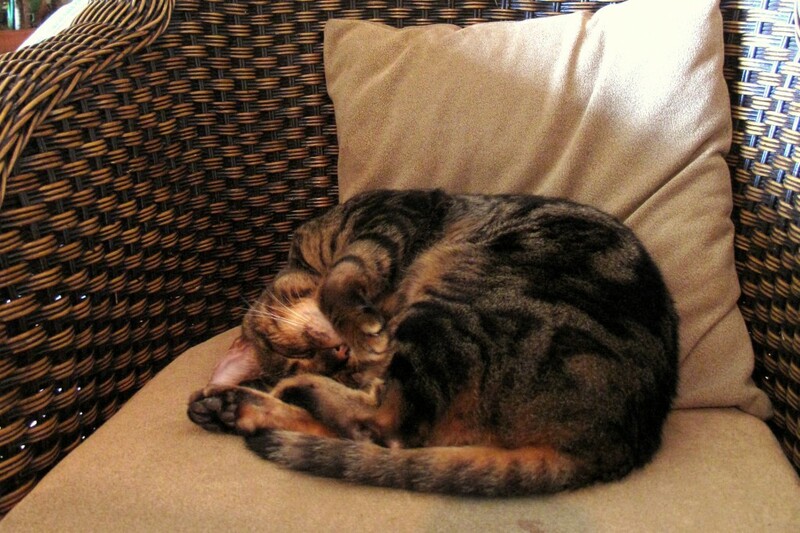 Bogart, picture above, can normally be found in the hotel lobby doing what he does best – sleeping! Galiano Island residents voted Bogart as the “Mayor” of Galiano during an election which helped raise $2000 for animal rescue. 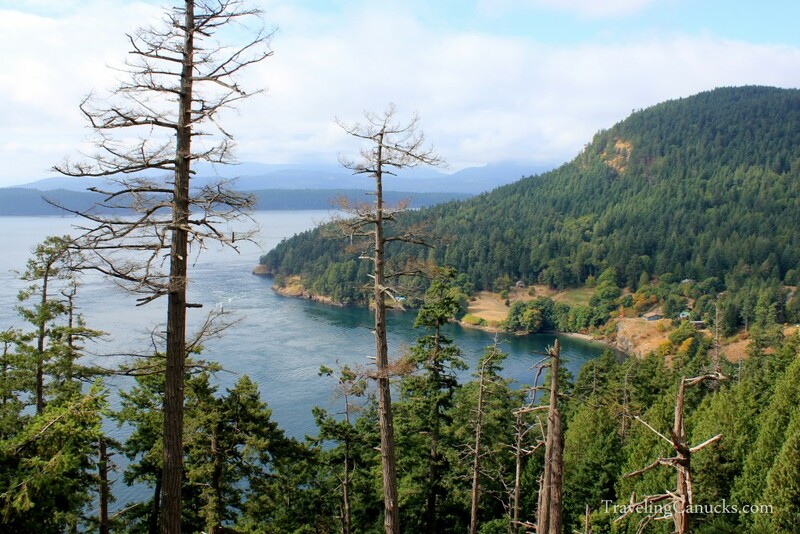 Located in British Columbia’s Southern Gulf Islands, Galiano Island is the closest Gulf Island to Vancouver and the U.S. border. 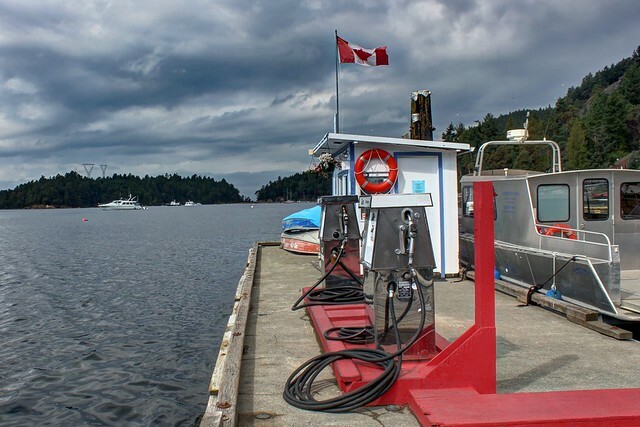 The quiet island is easily accessible by several BC Ferries routes; departing from Tsawassen Ferry Terminal (Vancouver, 45 minute ferry trip) and Swartz Bay Ferry Terminal (Victoria, 70 minute ferry trip), as well as the neighbouring Southern Gulf Islands. There is also float plane service from both the Lower Mainland and Vancouver Island. Click here to see a map of where Galiano Island is located. 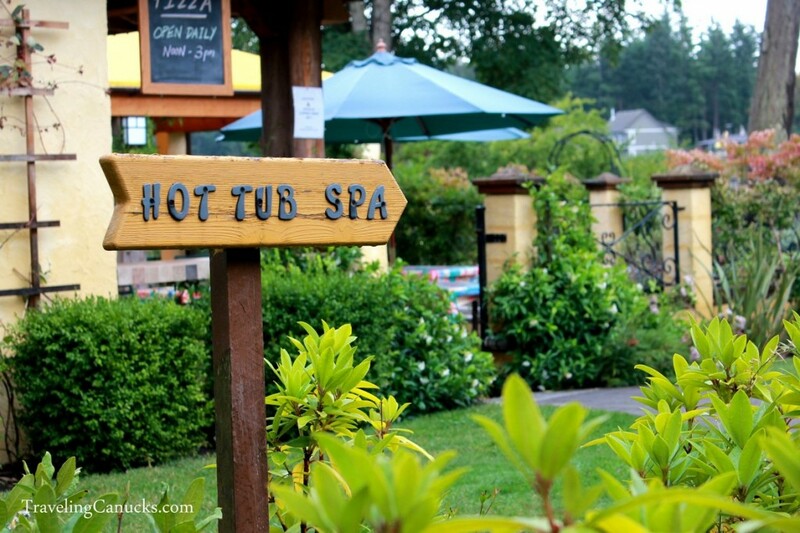 Whoosh…you make this place look uber special! Thank you 🙂 Glad you enjoyed the pictures. That starfish looks like it’s chillin. Waiting for the tide to come back..they can be seen in all colours and sizes. Allergic? We only saw him in the same spot each day…chillin in the chair, taking a nap. Made us miss our little guy at home. I love it when places have animals. It was very beautiful. A great place to getaway. It was relaxing! The best place to be outdoors or catch up on a book. Holy crap these photos are awesome. Great photos and congrats on the baby as well! I have only seen photos of the islands but they look beautiful. been to bc and it has a great coastline. We agree. That’s why we love it here so much. The food was very delicious. 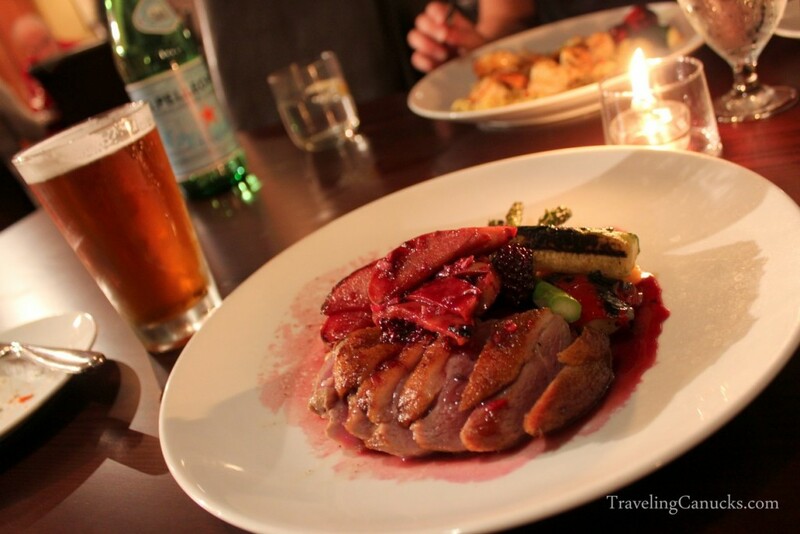 They also have an amazing wine list from BC wines to pick from. What an enviable trip you guys took! I love going on short getaways to beautiful and scerene places like this one, especially since its so close. 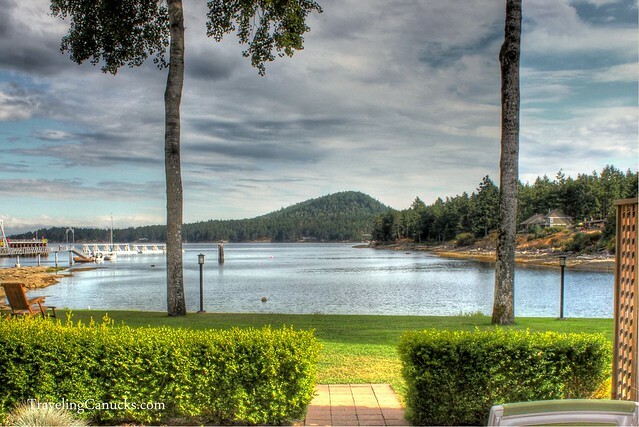 Galiano Island is becoming more and more alluring with every post. Bogart is one lucky cat. We do too. We’ve been trying to explore more of our province. We love getting away for the weekend for a mini trip. Makes us feel so much more rejuvenated. 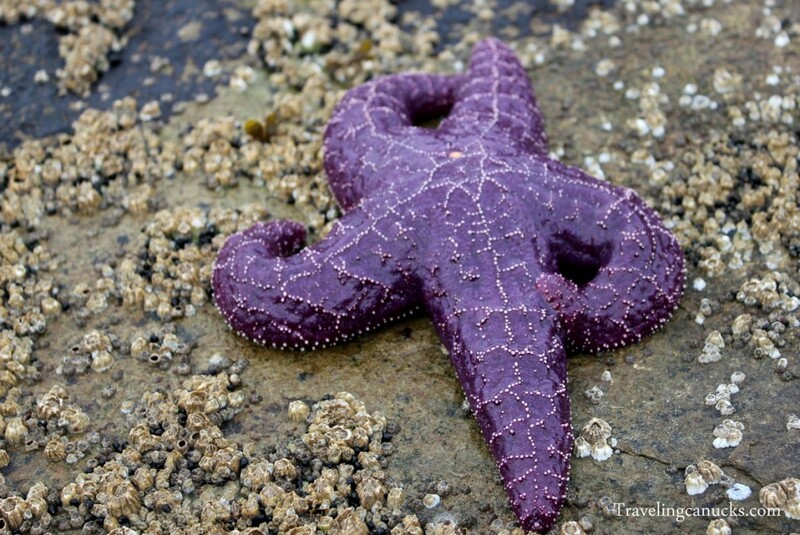 Great post–I’ve never even heard of purple starfish–thanks for sharing. 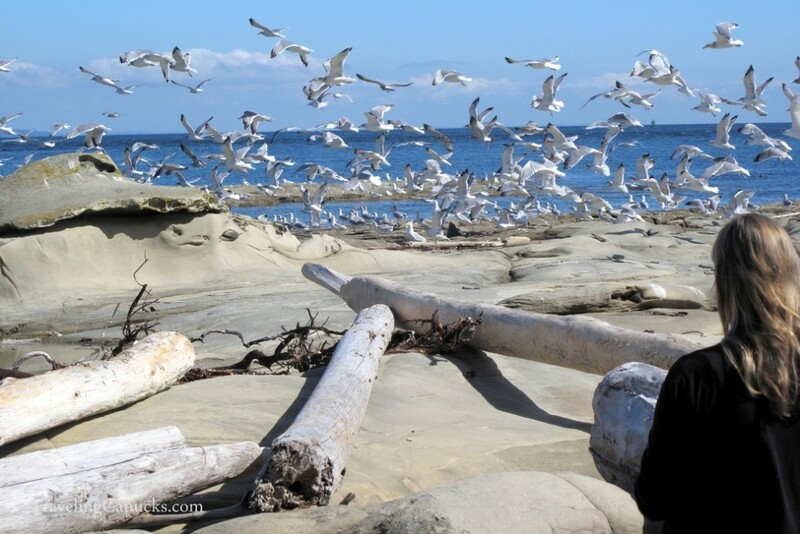 Galiano looks like the type of experience that’s on the top of my boomer travel list. Great photos! I love the photos, the view, the oven and the purple star fish. It all looks like a great time to be had by all. 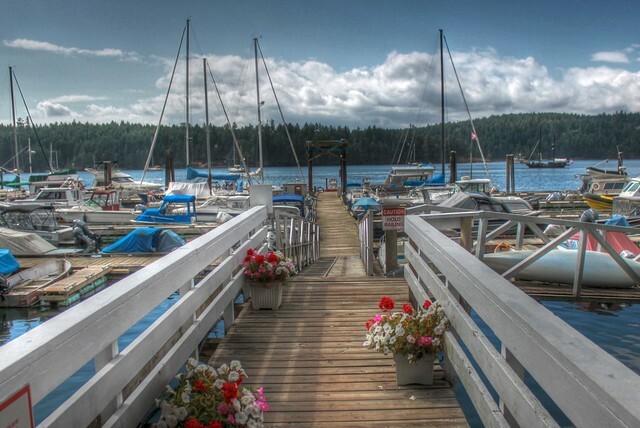 Those are some nice photos of the country side, the water and the marina. The purple star fish is very unique. I have only seen brownish ones. Thanks for the pics.